The Defense Contract Management Agency (DCMA) performs contract oversight for the DoD. DCMA ensures that DoD, Federal, and allied government supplies and services are delivered on time, at projected cost, and meet all performance requirements set forth in a contract. It provides Systems Engineering, Auditing, Earn Value Management (EVM) and Quality Assurance (QA) oversight of DoD contractors. 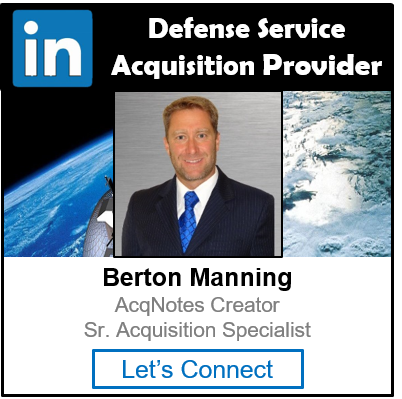 Many large Aerospace companies with Acquisition Category (ACAT) 1 contracts have DCMA Contract Management Offices (CMO) located at their production site. This makes it easy for DCMA to provide contract oversight and attend major reviews. If you are a contractor, make sure you now the role DCMA plays on your contract. DCMA approval is usually required for payment receipt.